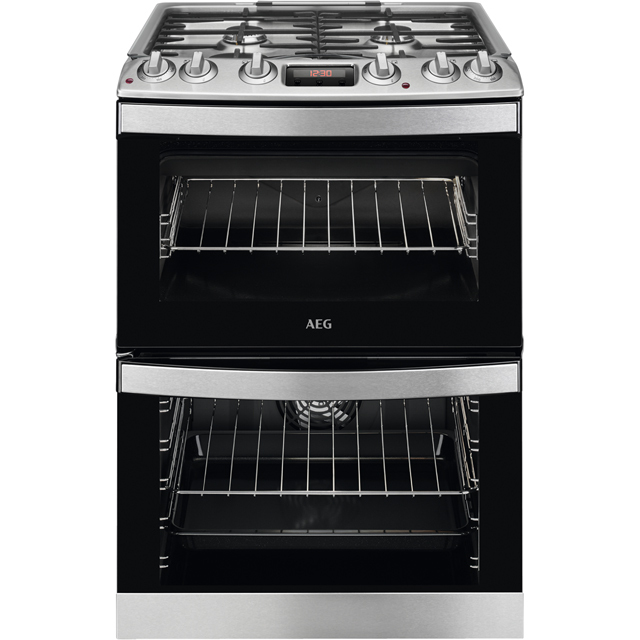 Add a dose of effortless style to your kitchen with this gas cooker from AEG. It’s rated A/A for energy efficiency, so it promises to be kind on both the environment and your monthly utility bills. This model has a main conventional oven, which means that hot air rises inside, so it’s great for baking garlic bread on the middle shelf and crisping up the lasagne at the top. The second oven has a handy electric grill, and is fantastic for lazy evenings when you crave cheese on toast. Plus, the special catalytic liners will absorb any grease, so all it’ll need is a quick wipe clean.